Here is what you should know about measles and how to tell if you're protected. LANSING — Health officials are urging people to get vaccinated against measles and take other precautions after confirming 15 cases in Michigan this year. The Michigan Department of Health and Human Services gave an update last Friday, saying it’s the highest level the state has seen since 1994 when 26 cases were reported. Earlier last week, the Oakland County Health Division said two Oakland County residents with the disease arrived on a flight at Detroit Metropolitan Airport in Romulus the evening of Oct. 23. Health officials note measles is a highly contagious illness and vaccinations are an effective way to prevent it. Measles typically will start with a high fever, red eyes, runny nose, sensitivity to light and eventually rashes on the face and head that progresses to other parts of the body. 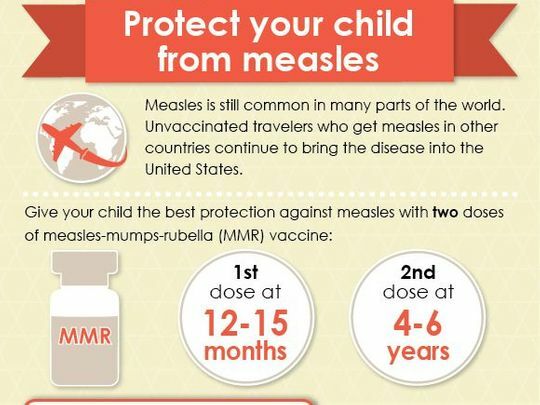 How to protect yourself against Measles? Now more cases of the disease are being reported from airports in Detroit, Newark, New Jersey, and Memphis, Tennessee. Here is what you should know about measles and how to tell if you’re protected. If you are a school-aged child or an adult who is in a setting with a high risk for measles transmission, including college students, health care workers or international travelers – you are considered protected from measles if you’ve had two doses of measles-containing vaccine at some point during your life, according to the Centers for Disease Control and Prevention. Younger children and adults in low-risk settings for measles transmission are considered protected from measles if you’ve had one doses of measles-containing vaccine at some point during your life, according to the CDC. If a laboratory can confirm you’ve had measles at some point in your life or were born before 1957, you are also considered safe from measles. Some vaccines given between 1963 and 1967 were not effective. People who were vaccinated before 1968 with an inactivated (killed) measles vaccine or measles vaccine of unknown type should be revaccinated. I’m not sure if I was vaccinated. What can I do? If you’re not sure you received all the vaccinations you need to protect against measles, the CDC recommends asking your parents/caregivers if they have any immunization records or look through baby books or other documents from childhood. Your doctor’s office will also keep vaccination records for a limited number of years. You can also check your high school and college, although they only tend to keep them for one to two years after a student leaves their system. Prior employers may also still have record of immunization. I can’t find my records. What to do now? Although the CDC considers it “not ideal”, it is safe to repeat a vaccination. A doctor might also be able to do a blood test to see if you are immune to measles. Can I still get measles if I’m vaccinated? The CDC says “very few people” – about three out of 100 – will still get the measles after getting two doses of the vaccination. 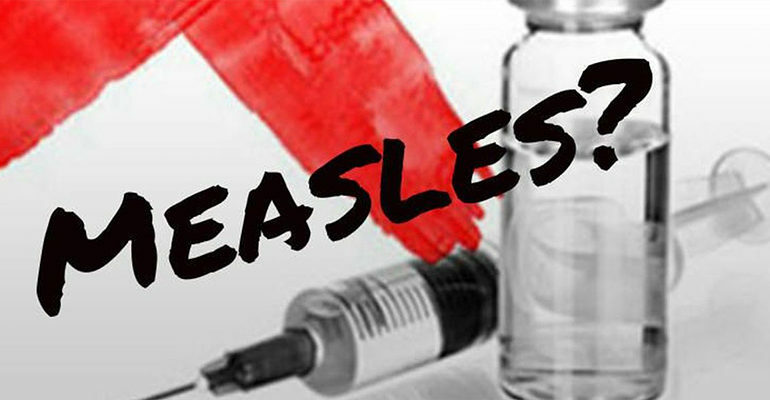 One dose of measles vaccine is about 93 percent effective at preventing measles, while two doses is about 97 percent effective. If someone who is vaccinated does contract the disease, however, they are much more likely to have a milder illness. Fully vaccinated people will are also less likely to spread measles to others, such as those too young to receive a vaccination or those with weakened immune systems.